Starting my Fall garden. Today I'll top my beds off with compost and plant my Fall Carrots and Beets in one of my hoop houses. 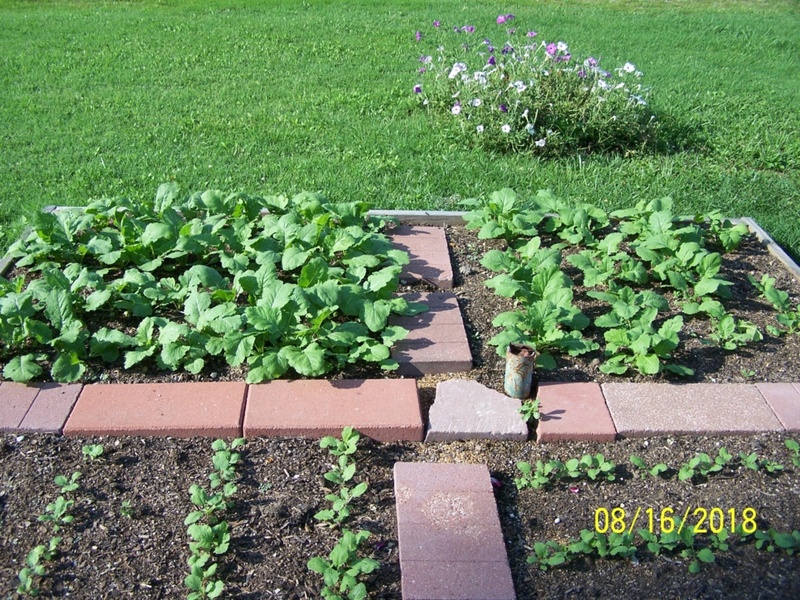 Here is a pic of my Turnip beds I started on 08/02 and planted more on the 11th. Ten Cabbage plants in the flat. Golden Zuke in the fore ground. 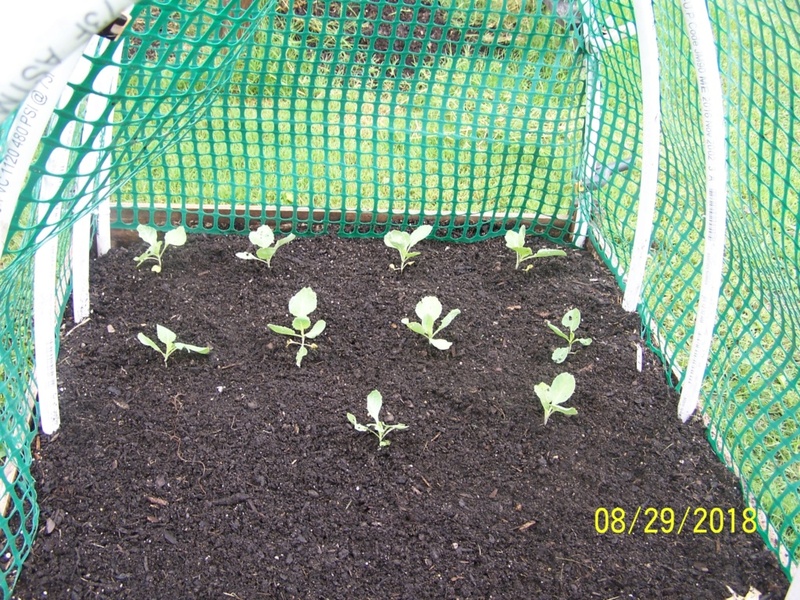 Four of my Chinese Cabbage didn't germinate. Had to replant them. 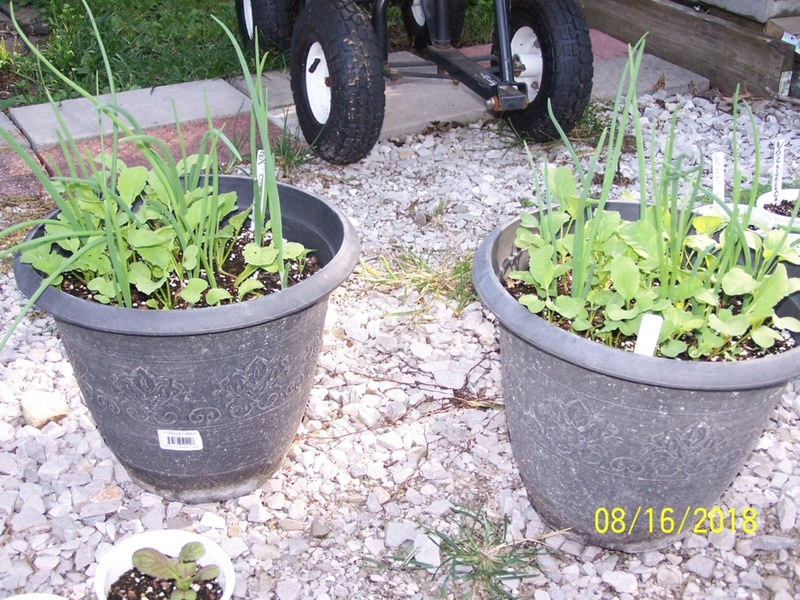 These green Onions were left over from spring planting and sat on the back porch all summer. I usually put them in the crisper drawer for fall planting but forgot them. I'm surprised they came up. 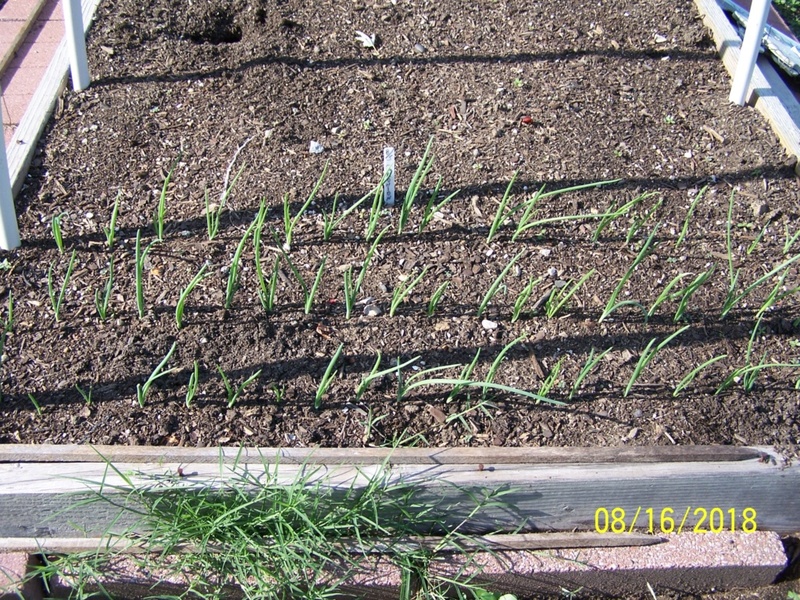 I love my green onions in the fall. 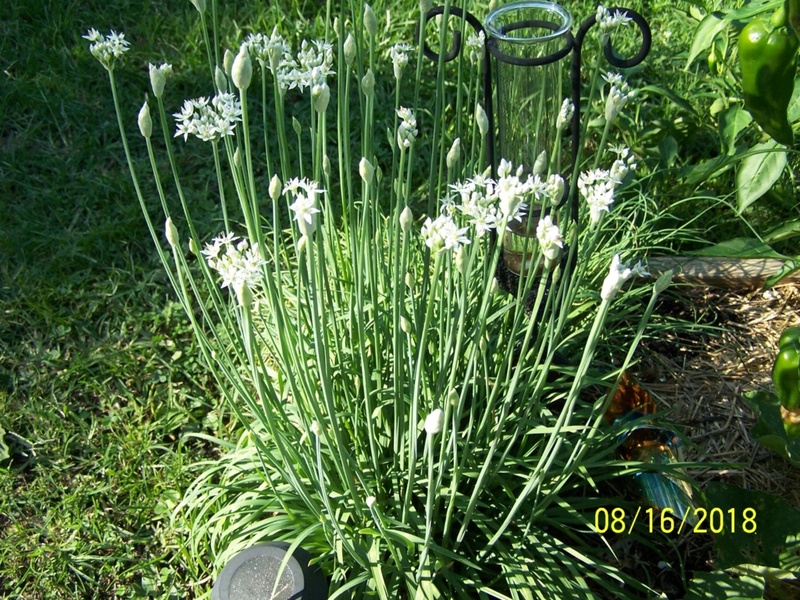 Garlic Chives going to seed. 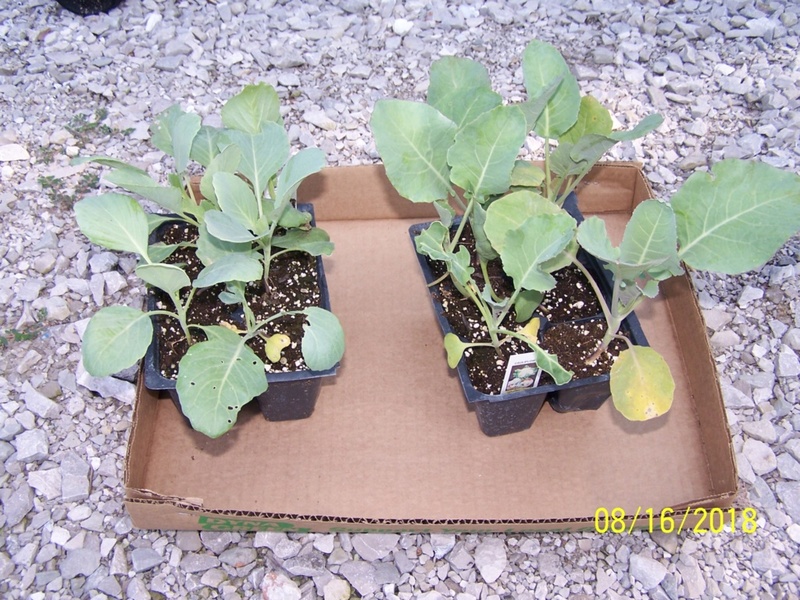 Six store bought Cabbage and six Cauliflower plants. "Just in case"
Beautiful! I am soooo jealous! We still can't breathe the air, and gardening with a mask is no fun at all. 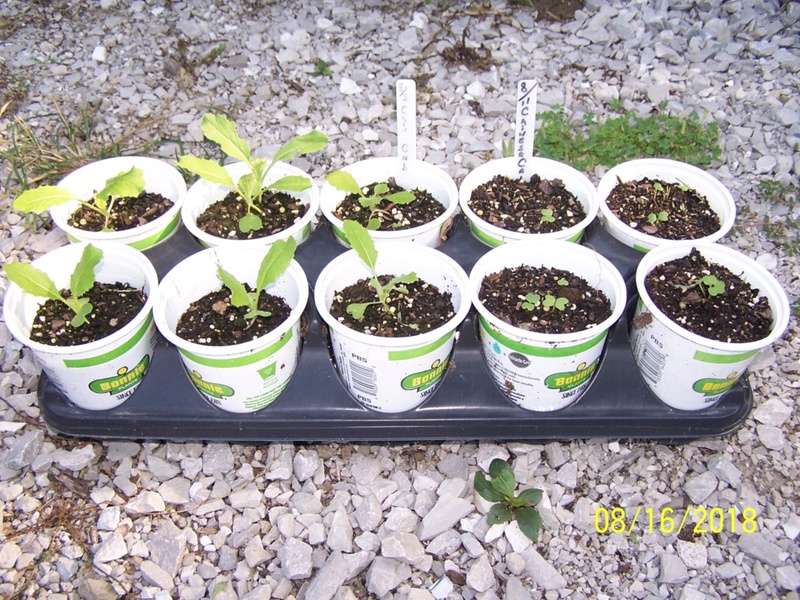 There's no place to start seeds inside this new house, so my fall garden will be delayed for another few weeks. Also, Bob would have a fit if I started gardening before all the boxes are unpacked, and I still have a long way to go on that front. @countrynaturals wrote: Beautiful! I am soooo jealous! We still can't breathe the air, and gardening with a mask is no fun at all. There's no place to start seeds inside this new house, so my fall garden will be delayed for another few weeks. Also, Bob would have a fit if I started gardening before all the boxes are unpacked, and I still have a long way to go on that front. You tell Bob I said, Leave you alone cause you got GARDENING to do. Bob will get over it when you fix him a fresh salad from your garden.. Now, Git'er Done. LOL! Actually, it's a self-imposed rule. If I didn't make myself do my chores before gardening, I'd never do anything else. Thanks A.M. I put a thick layer of compost on my two 4x8 beds yesterday and got my fall Carrots, Beets, Cabbage and Cauliflower planted. Had to put the cage back on the beds to keep the cats out. 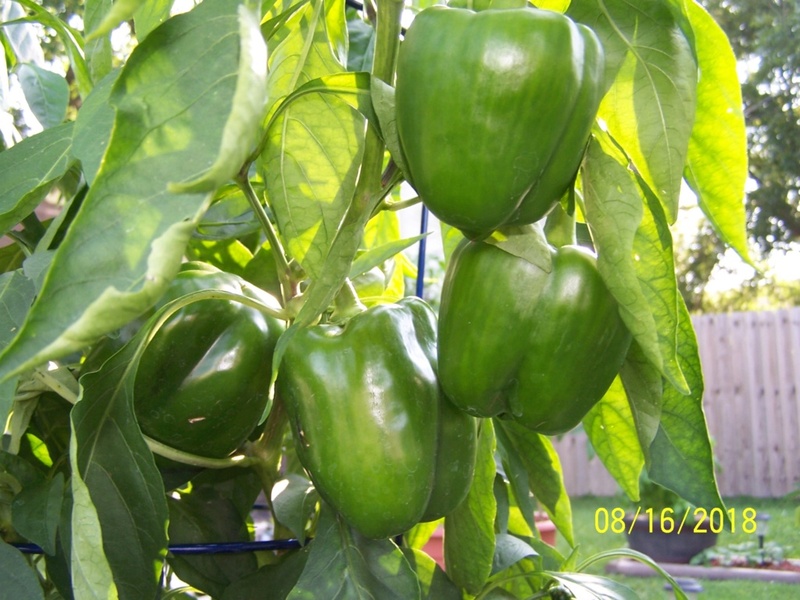 Beautiful peppers...anhd everything else! 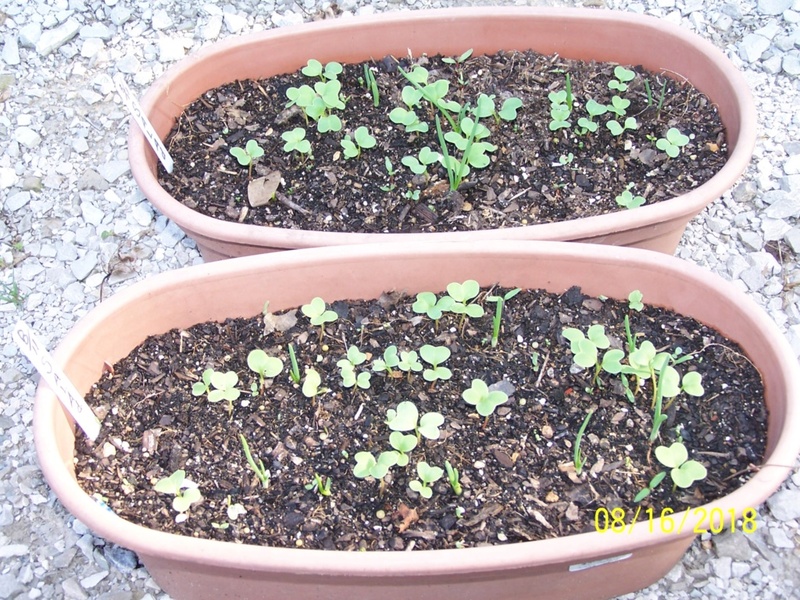 So, you can plant a zuke plant and carrot seeds and have them come to fruition before it's too cold? 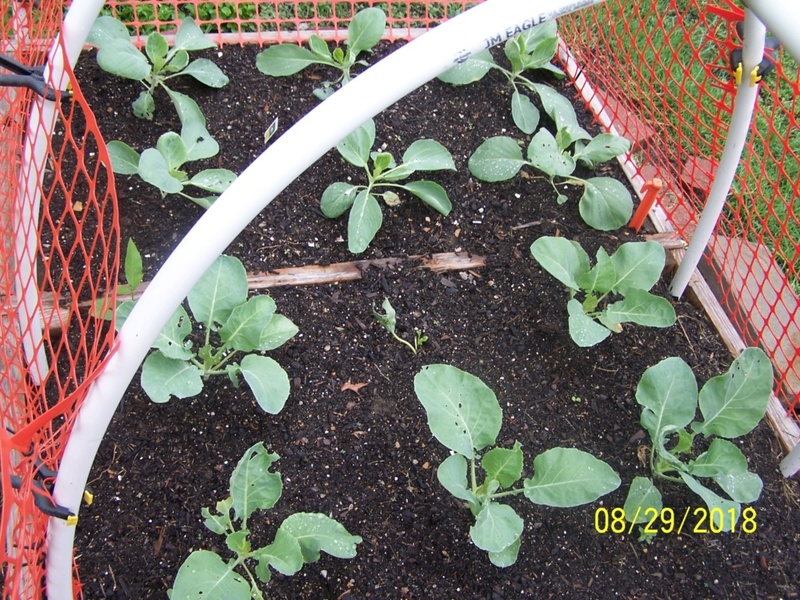 Yes, I have hoops over two of my 4x8 beds and when it gets cold, I will put the plastic over them after I put down about a foot of straw mulch. Somewhere on this forum, I posted a video of me pulling carrots in January, 2016 (maybe 2017) with the temps way below freezing. Mr. Booker, I join the league of jealous gardeners. Really nice garden. I have a west-facing room behind an extra carport, next to the garage. It has a huge sliding door out to the back of the property, which we don't use. Would that work to set up a shelving unit in front of it, with grow lights and heating pads for winter gardening? What do I have to lose, right? Nice garden, Mr. B! I didn’t have room for any Japanese Red Mustard in my Fall garden, and I think I put it in too late this past spring. Next year, right? 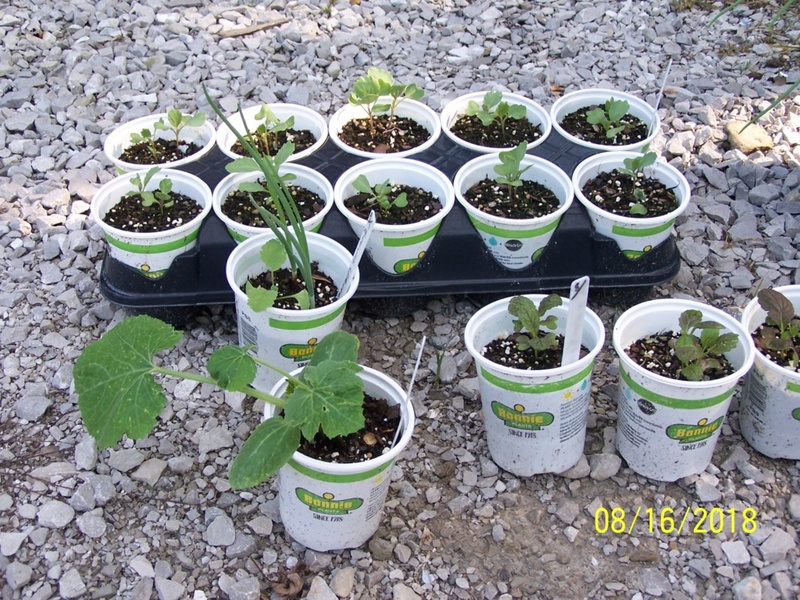 I only had room to plant one of my Red Mustards in a half barrel last week. 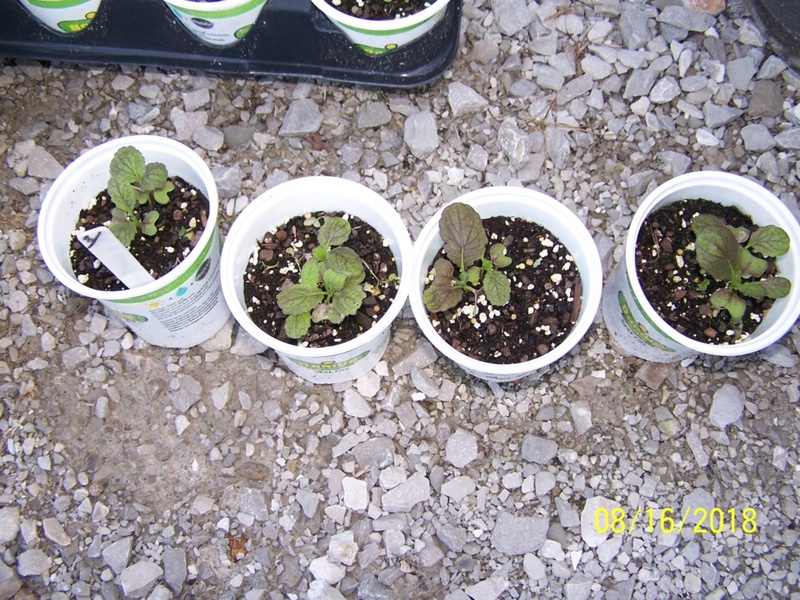 The rest of my pots and containers are still doing too good to remove any plants. If the half barrels keep going into the fall, it will be too late to plant anything else in them. I'm not complaining though.. Choices! Yes, lots of my things are still going strong; we had a lot of rain here this summer, maybe that prolonged things? I liked the red mustard, it is spicy, which I apppreciate! How do you use yours? @Scorpio Rising wrote: Choices! Yes, lots of my things are still going strong; we had a lot of rain here this summer, maybe that prolonged things? I liked the red mustard, it is spicy, which I apppreciate! How do you use yours? I use mine as garden candy, maybe a few leaves on a burger or chop it up in salads. It is really spicy. Gotcha! Mine was getting tiny tiny holes in it towards the time I pulled it...not sure?